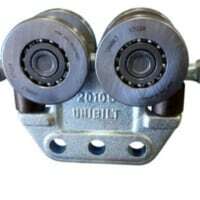 Beam trolleys are available from 250 to 4,000 pounds capacity. They are simple to install and use. Customers use them as an easy, affordable way to move products from point ‘A’ to point ‘B’. 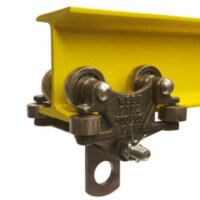 I-beam trolley applications range from home workshop use through to assembly plant applications. Also sometimes called monorail trolley systems. 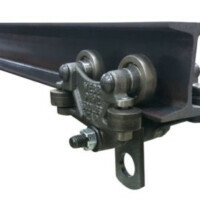 I Beam Track and Trolley Set | 500# trolley and 3 in. 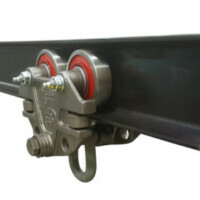 I-Beam | 6 ft.
Track and Trolley Set, I-Beam | 1,500# trolley and 4 in. I-Beam | 6 ft.